Guardians of Music – SUCCESS – THANK YOU! Watching Guardians on Music LIVE on television for the first time with my wife, Della. What an unbelievable night on Monday, March 16, 2015. It is unlikely I will ever forget such a remarkable evening. 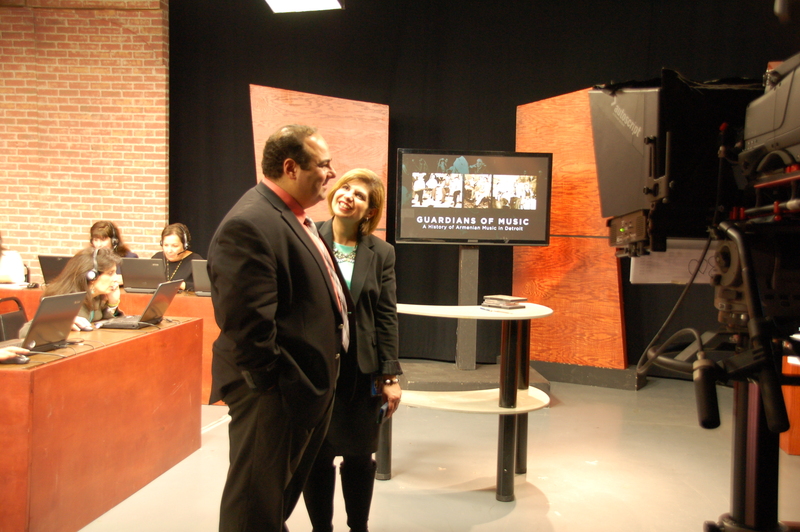 The premiere of Guardians of Music was a fantastic success! 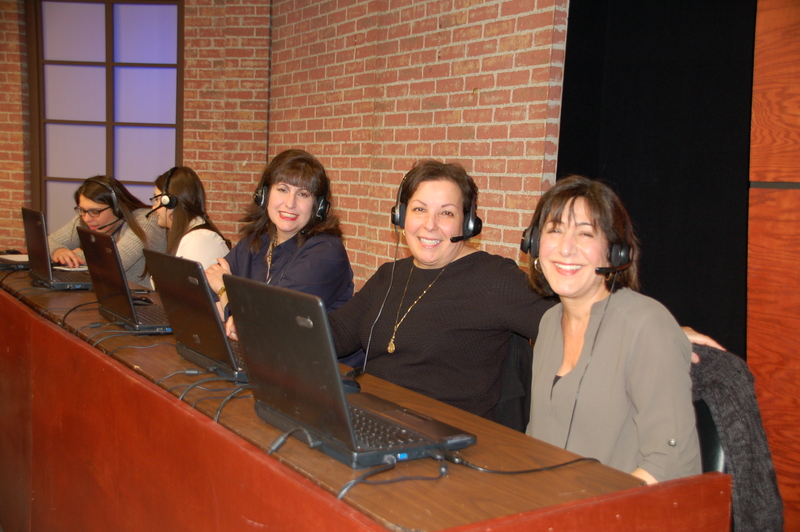 The evening at Detroit Public Television raised over $50,000 with 350 donors! If you add the sponsors for Armenian Heritage Night, the station raised over $70,000! The night was magical and emotional for me. Over a year of hard work paid off. Sure, I had butterflys worrying about if the film would be liked and accepted – the reaction was and still is overwhelming. The emails, texts, Facebook and Twitter posts have exceeded expectations. Even got some letters in the mail. Some of the volunteers that night that worked the phones! Sharing a laugh with Ralph Kourtjian and Diana Shoushanian. “You took on a difficult project – long after many of the actors and their music were long gone”. “I came across your documentary last night and just wanted to say how much I enjoyed it, and I’m not even Armenian! I learned so much about the history of the music and the local people who kept it alive”. “Thank you Ara Topouzian for sharing with the Detroit community the amazing legacy of the history of Armenian music and huge thank you to the next generation of Detroit musicians who continue to run with the torch that has been passed to them”. “Bravo Ara! Great documentary. What a memory you have preserved”. “I have tears in my eyes and a big old grin on my face”. 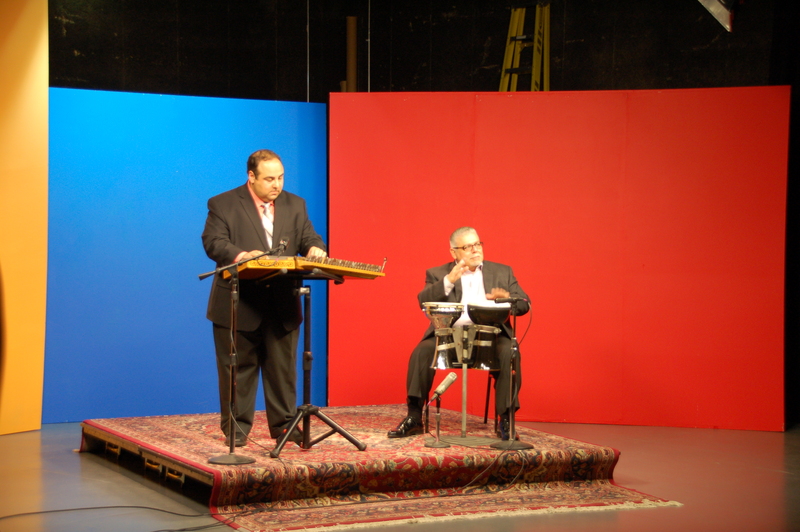 Playing Armenian music at DPTV in the studio with Jerry Gerjekian on dumbeg. The studio was set up perfectly for us. The stage for Jerry and I had a backdrop made for us in red, blue, and orange to represent the Armenian flag. The last time I played for DPTV was in their old building in downtown Detroit. What a remarkable difference. It was great to share the evening with friends, some family and the Armenian clergy. Thanks to Der Hrant Kevorkian, Der Garabed Kochakian and Rev. Shant Barsoumian for participating and talking about the history and heritage of the Armenian people. This project was and continues to be a labor of love. 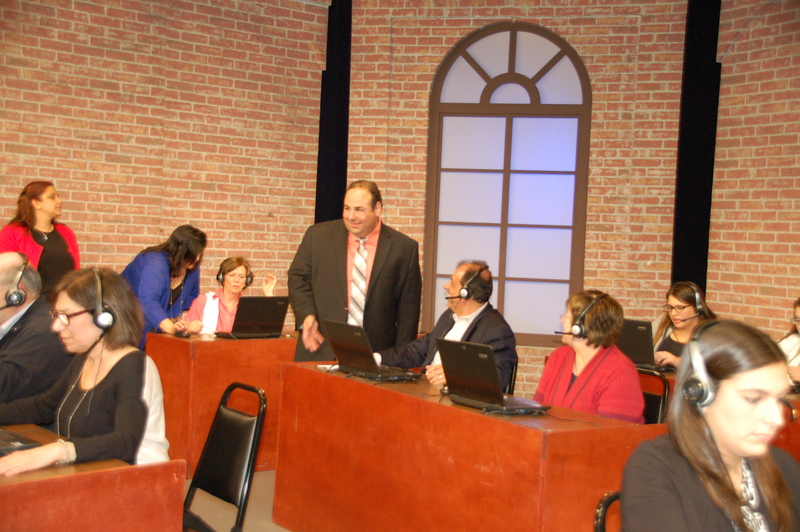 To be at the studio (Detroit Public TV) and see your movie air live was amazing. The volunteers working the phones during this pledge were fantastic and having the Armenian clergy on hand was the icing on the cake. Thank you to everyone — so many that I don’t think I can do this justice. Knight Foundation made this project real, Detroit Public TV brought it to the world, my wife for her love, support and talent, Brian Golden for his talents in helping make this documentary and the financial supporters and everyone that expressed their love for the documentary. CLICK HERE TO VIEW A SLIDESHOW OF PHOTOS FROM ARMENIAN HERITAGE NIGHT ON MARCH 16TH! This entry was posted in Uncategorized and tagged Armenian, detroit, detroit public TV, dptv, heritage, history, music, pbs, pledge, television, Topouzian. Bookmark the permalink.